PhotoSweeper is a great application that will scan your Mac for any duplicate or similar-looking photos. 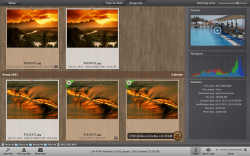 This application can be incredibly useful for both professional and amateur photographers. As any photographer knows, you must take an extememly large amount of photos in order to find the perfect one. As a result, you end up with a lot of extra photos that you don’t need. PhotoSweeper solves this problem. However, the way the application finds duplicates might be frustrating for certain users. You begin using PhotoSweeper by importing the photos you want scanned. The way you do this is by dragging and dropping an entire folder of photos or individual photos onto the program interface. 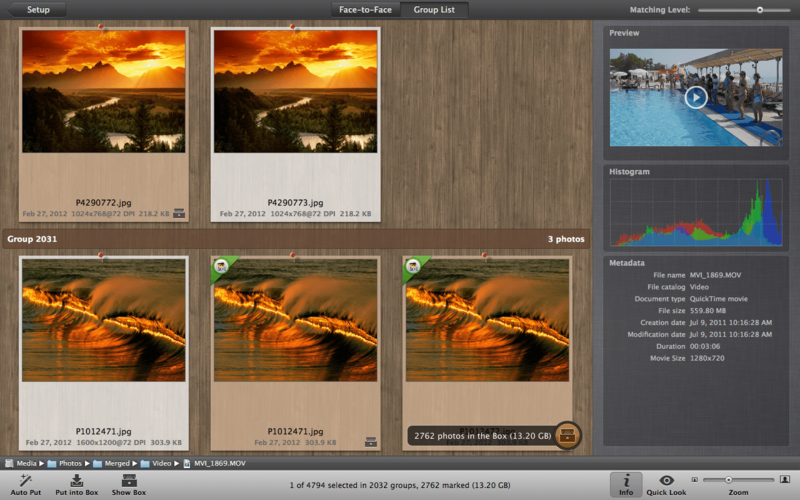 You can also drag entire applications like iPhoto, Aperture, and Lightroom. If you drag an entire application, PhotoSweeper will scan all of the pictures that you have imported into those applications. Once your photos are scanned, they will be displayed either as individual pairs, or in one giant menu. Once there, you have the ability to look and delete the duplications. In addition, there is a a feature called auto-put. This will allow you to set up rules for when PhotoSweeper sorts through duplicates. If you set up the correct rules, you can have PhotoSweeper autmatically put the worst photo of the pair in the box so you can easily delete it. One top-notch feature in PhotoSweeper is the slider that appears after your photos have been scanned. This slider will adjust how picky the application will be when finding duplicates. If you slide it all the way to the right, then PhotoSweeper will only show you pictures that seem to be completely identical. However, if you slide it all the way to the left, then PhotoSweeper will show you pictures that aren’t identical, but look very similar. A slider position somewhere in the middle gives you a middle ground between the two extremes. PhotoSweeper does have some aspects that can be confusing. The application is designed to only pick up on identical pictures shot around the same time. This can be confusing to new users because the results will only display photos that are similar and that were taken around the same time chronologically. For example, let’s say you went on the same hike twice in one year. You would probably want to find similar photos even though they were shot a year apart. PhotoSweeper won’t find those for you. However, this is only a minor inconvenience. Overall, PhotoSweeper is a real winner. It’s functionality is spot on and has proven to be a really useful tool when dealing with a lot of photos. What makes this application a real pleasure to use is the user interface. It is clean, simple, and a logical way of accomplishing tasks. I recommend PhotoSweeper to anybody dealing with a lot of photos, whether professional or amateur. It will undoubtedly clean up your computer and make your life significantly easier.